Ocean Isle Beach is a peaceful town located off on the North Carolina coast. It’s a great place to live and raise a family because it’s safe and doesn’t have all the chaos and traffic of other coastal towns. The neighborhoods are very tranquil and it’s common to see families out walking or residents out jogging. 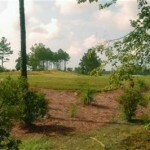 If you think this great lifestyle would be perfect for you, check out Ocean Isle Beach short sales for superb deals. Ocean Isle Beach short sales offer young people, families, investors, and retirees great prices on some of the best homes and land around. 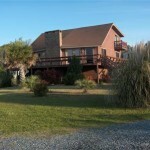 These properties are just minutes from Ocean Isle, Sunset, and Holden Beach. You can find homes in the country, city, outskirts of town, and anywhere in between, which makes finding the perfect place easier than ever. If you want a carefree lifestyle near the beach, this is the place for you!